A Year of Being Here: David Whyte: "Sweet Darkness"
"Sweet Darkness" by David Whyte, from The House of Belonging (Many Rivers Press, 1996). Text as published on the poet's website. 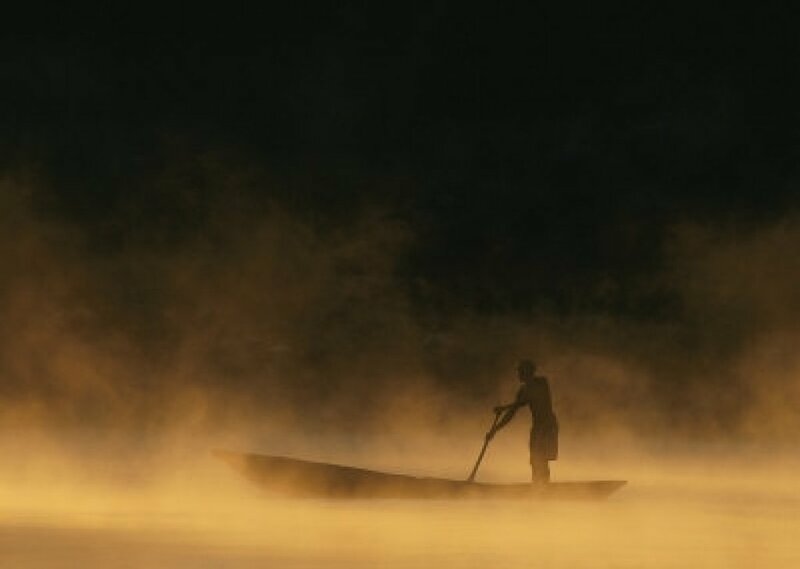 Art credit: "Night Fisherman in a Dugout Canoe on the Zambezi River," photographic print by Chris Johns.